There's really nothing more satisfying than a quick garment-making project. 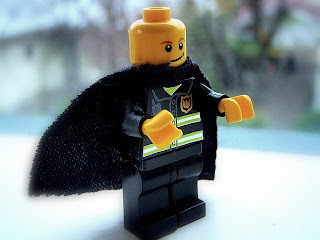 Take this stylish bias-cut cape, for example. It was drafted, cut, fitted and finished in virtually no time at all. I love a bit of small bear fashion design here too... thinking bakc it is how I started in "the industry", Barbie had a wardobe made entirely from scraps of fabrics, scissors and elastic bands. Yesterday's sublime to today's ridiculous - fabulous. Well Jedi Knights must be kept warm too! Terrific! Fabulous. Would be perfect for an evening out though am a bit concerned about having to remove my head to get it on. Just close your eyes and use the force Liesl...you'll have a beautifully fitting bodice in no time!